The Kid Who Would Be King was released on Blu-ray, DVD and VOD 2d ago in the US. Notify me when The Kid Who Would Be King is available. 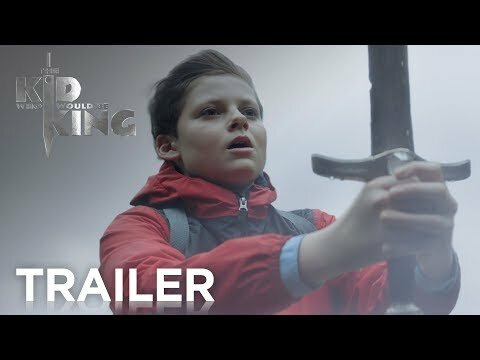 Based on 14 The Kid Who Would Be King reviews, The Kid Who Would Be King gets an average review score of 69. The film suffers from Cornish's blocky and plentiful dialogue. In our darkest hour, King Arthur will return to save the world. Or, so the legend goes. Joe Cornish’s film is vigilant in its positivity and hope for the future at nearly every turn. 'Attack the Block' writer-director Joe Cornish riffs on Arthurian legends in his second outing as helmer. 'Attack the Block' director Joe Cornish delivers a contemporary twist on the King Arthur legend full of retro-1980s family-film ingredients. A modern-day, fresh-faced Arthur yanks a sword out of a stone and raises a citizen army to fight against Morgana.